Few days ago, a friend of mine asked if I could recommend a quintessential Indian restaurant in Delhi that serves authentic cuisine from the coastal region. 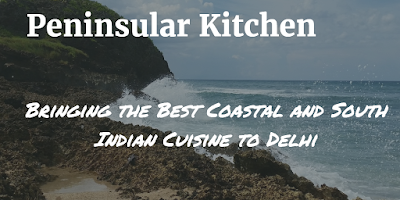 Interestingly, there are nine states and two union territories that form the Indian coastline, and to my knowledge, the only restaurant in Delhi that serves authentic cuisine from five coastal states (Goa, Karnataka, Kerala, Tamil Nadu, and Andhra Pradesh) is the Peninsular Kitchen. So my answer was in a way pretty obvious! On a related note, I noticed that even though I had visited and reviewed this restaurant in the month of May early this year, I had completely forgotten to post my review on the blog. In this blog post, I make a case about why you should visit the Peninsular Kitchen. Opened to general public in May 2015, Peninsular Kitchen is the brainchild of restaurateur Gaurav Goel who hails from Delhi. Gaurav is a hotel management graduate from IHM Mumbai (1997). As luck would have it, he spent a good 15 years in the same city working for F&B brands. Being a foodie himself, Gaurav developed a strong liking for the coastal food after frequenting South Indian states like Karnataka, Kerala, etc. In fact, the liking grew so much over a period of time that he gave up his corporate job in 2014 and returned to his birthplace to start a new coastal restaurant. Post relocation, Gaurav researched the F&B market in the national capital for almost a year and inferred that the coastal cuisine was grossly under-presented here for various reasons. So he, along with his wife, Anshu Goel, decided to invest in this restaurant. Together, they did a market survey on location and zeroed in on the posh Ambience Mall in Vasant Kunj (to both of them, South Delhi seemed like a more lucrative business proposition than Gurgaon at that point in time). And that's how the Peninsular Kitchen was born! With a cover area of more than 1500 square feet, the restaurant is conveniently housed on the third floor of Ambience Mall. The kitchen is in the capable hands of Head Chef Shankar Pujari and Sous Chef Ramadasan. 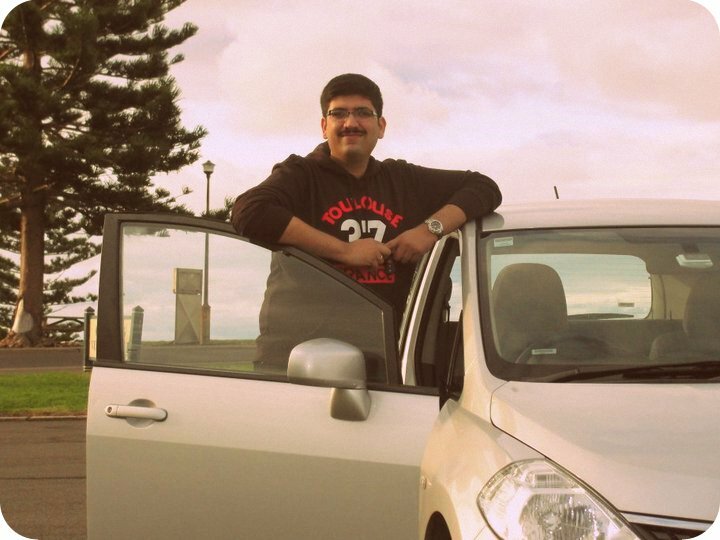 Arun Kumar dons the responsibility of the Operations Manager, which includes supervising a staff of 20. The restaurant can easily accommodate nearly 48 guests and is open every day from 10:30 am to 12 midnight. If you're visiting them on a weekday, make sure to check with staff w.r.t. the Happy Hours (from 11 am to 9 pm). As I entered their premises, I couldn't help but notice the aesthetically done 'nautical' design. What really struck me was how every minutest level of detail was taken care of, leaving no scope for uncertainty - be it the hanging anchors or the wall paintings of the coastline. According to Gaurav, half the guests who walk in here have little idea about the coastal cuisine. As a rule of thumb, the restaurant does not serve any kind of Dosas between 4 to 7. The idea is to educate people on South Indian and coastal cuisine, which goes way beyond the cliched Dosas and Idlis. Here are my top recommendations of what you should try at the Peninsular Kitchen. Often served in Goa and the Konkan region of India, Solkadhi is hailed for its digestive properties. It is made from coconut milk and kokum. Tamarind water based drink, infused with mint rock salt and Sprite. Filled with the richness of Guava nectar, mint, green chili with roasted cumin, and lime. Topped with lemonade and ice, this breezy cocktail is made of lime chunks, mint leaves, brown sugar, and coconut syrup. Experience this unique vodka based cocktail blended with betel leaves and gulkand. Another vodka based cocktail infused with Aam Panna and a combination of lemon and guava juices. What happens when you mix Kala Khatta syrup with dark rum and soda? Nothing short of Khattalicious! If you have room for more, go for the Green Chilly Sangria. Popularly known as Kokum Rasam, this popular soup comes from Udipi in Karnataka. Known to contain several medicinal properties, this soup is highly recommended to treat cases of constipation or indigestion. Relish the unique flavors of boneless Fried Fish Koliwada, a popular dish from the state of Maharashtra. Best served with green mint/in-house chutney. Popularly known as Malabar Chemmeen Varathathu, this rare dish from North Kerala is both sweet and spicy, with a twist of onion tomato masala. Ghongura Chicken Fry is a classic combination of Ghongura/Sorrel leaves, chilies, and marinated chicken. Cooked in special Andhra style recipe, this South India delicacy is a must have. Steamed idlis tossed in spicy podi/lentil masala make a perfect snack for all occasions. Popularly known as Kuzhi Paniyaram, these shallow fried rice and urad dal dumplings are quite a rage in Tamil Nadu. Best served with gun powder (dry dal chutney). Popularly known as Meen Moilee, this classic fish curry from Kerala wins hands down for its unique flavor. I liked that the coconut gravy was mildly spiced and contained a perfect blend of green chilies and shallots. PS: You could also try the Kerala Fish Curry (a. k. a. Naadan Meen Kari), which is a traditional fish curry from Kerala. This prawn delicacy from the city of Hyderabad is cooked in rich spicy gravy containing khoya and cream. This goes pretty well with Appams and contains boneless chunks of mutton perfectly cooked in cardamom flavored coconut gravy. Popularly known as Kodi Kura, this curry traces its root in the Konaseema region of coastal Andhra. If you like your curries to be spicy, this is the dish to go after. The gravy is thickened with poppy and sesame seeds. This is a classic Goan chicken curry, made of chicken and potato mixed with a rich gravy of poppy seeds, fennel, and coconut. Vegetarians in the house must try this tangy tomato gravy which contains ladyfinger and spices from the land of Seemandhra. You could also try the Kadala Curry and Parippu Curry if you're curious about the South Indian version of the dal. This special dessert from Kerala contains a good amount of jaggery and is prepared as an offering to Lord Ayyappa on Pongal. This classic dessert contains slow cooked pineapple with coconut milk and dry fruits. Bebinca is a traditional Goan dessert with seven layers, including plain flour, sugar, ghee (clarified butter), egg yolk, and coconut milk. Served around Onam, these rice pancakes are cooked with jaggery and dry fruits. 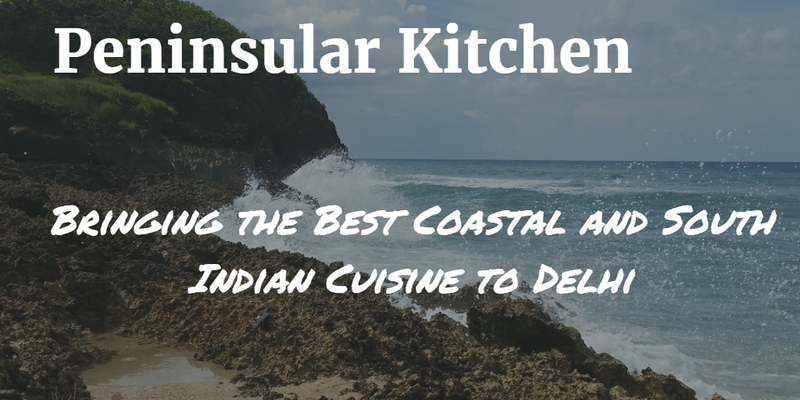 Finally, Peninsular Kitchen is a one stop destination to satisfy all your coastal and South India food cravings. In my opinion, this will be a key differentiator compared to their competitors like Swagath, Zambar, or Sanadige. I strongly urge you to try your own local cuisine first before you try any other. India has a lot to offer!